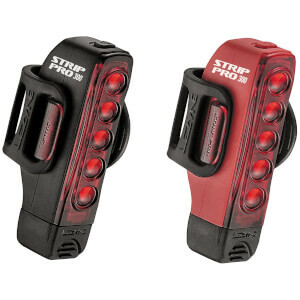 Powerful and highly versatile LED cycling light. Light, waterproof and durable co-molded lens/body construction. Unique aero and round bar compatible design. Five ultrahigh-output LEDs delivering up to 300 lumens. Mode Memory function returns to selected mode after turning off. Nine combined lumen and flash modes.